The Plan. The Process. The Commitment. Follow your plan and you will succeed. Quiet the doubts in your mind. Understand that they are natural, and will continue to come. Daily, intentional engagement will lead you forward, onward and upward. 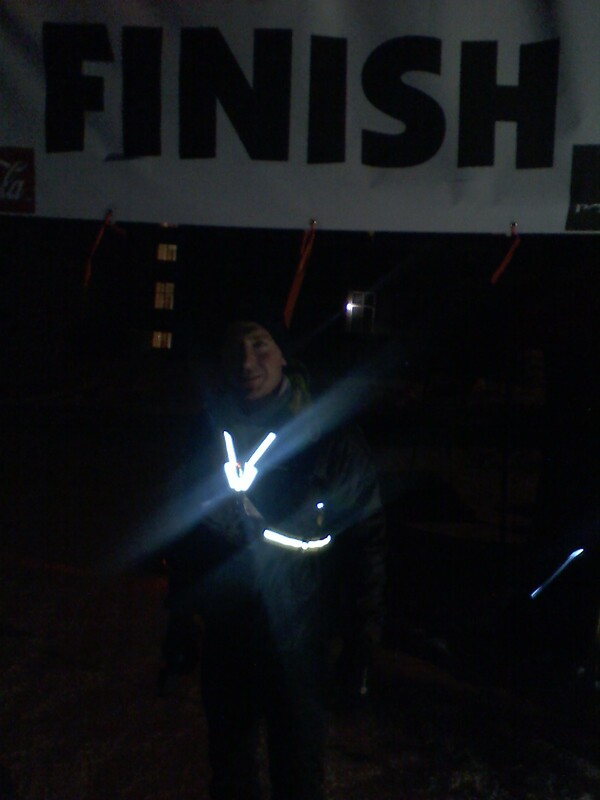 Finishing the Arrowhead 135 after 42+ hours of effort. Condition the mind for success. Think not of what you can’t do or control, but think of what you can. Changing your focus is crucial to getting one step closer to your goals. The inner game (between your ears) is won in isolation, many times each day. Engage in the battle with a solid conviction and no fear attitude. Life is solely how we project our feelings in the present. Each day either moves your forward or sets you back. What’s your direction? Keep the main thing. The main thing. Onward. Why you/I need a coach. Starting a self-applied training program is a big step in having some ownership of your health. You are making a commitment. Time in your day that once was given to some other activity is now being assigned to this new fitness endeavor. Comfort and security is traded for discomfort and insecurity. You are being asked to begin the learning process again. It’s easy to start, but will you be able to finish? Can you quell the voices in your head as the soreness sets in the next morning? Will you make the right nutritional choices so that your body can begin to work on changing its composition? These are big questions, but they are real. So what can a coach do for me? We all have notions of what the role of a coach is, some are positive, some are negative, but for most of us we’ve never had a personal coach. Coaching is usually seen in a group/team environment, focused on the group’s outcome. In our adult lives most of our achievements are assessed on the personal level. How do you stand out? Why are you achieving? What’s holding you back? 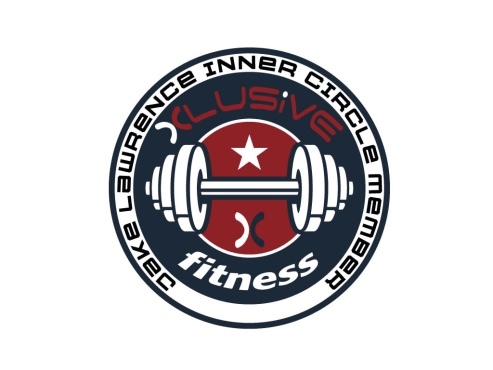 Fitness coaching and Health coaching are two sides of the same coin. On one side your have fitness coaching, which is mainly concerned about the nuts and bolts of your physical training on a daily basis. On the other side you have health coaching, which is concerned with who you are 24 hours a day. The focus here is on your life: your stresses, job, demands, time, health, habits, etc. As you can see a lot goes into helping someone become successful. In modern, urban life it’s not innate or natural to have balance. The scale is always tipped one direction or the other. Solutions are there to be found, but we can’t assume that we have the capability, time, or energy to invest in personally finding those solutions. It’s a complex web of factors that produce your current state of health and fitness. A coach works with you to provide solutions. On a basic level, it is accountability and commitment. On a deeper level it is accessibility. Having a guide to answer your questions, not generally, but specifically, will arm you with real personal solutions. For me, knowing that I have a good coach, with my best interests at the forefront of their thoughts and actions is invaluable. General knowledge is helpful, but it is often communicated as “the way” when in fact there is no one-way. To ensure our health, wellness, and a steady progression, work and rest need to balance each other out. This is the same principle that defines many other areas of our life: financial, social, work, school… you name it. I exercise everyday. Whether I’m in training for a race, or focusing on another area of my fitness, my weeks are littered with physical activity. For some time, I trained intensely almost every day. It was like a drug, or therapy, if I did not reach that lucid feeling of muscular fatigue I was not finished. For a period of your life, you can train like this. It was not stressful for me. I could handle the workload, and relished the pain, intensity, and strenuousness that each day entailed. This was my twenties. Entering the next decade I found myself seeking more balance in my life. Not simply a balance to my weekly exercise, but a balance in my life: work, social, physical, and athletic. Seeking to be “well-rounded” and diversified is a tough task. It’s easy to slip into the obsessive, single-minded state of goal achievement and optimization of an activity we see some success in. Hence, if you are good at working out, and you enjoy it, see positive changes in your self-image, you’ll make this a daily priority. If I want to run a 100-mile trail race I’ll first sign up for that race. That commitment is the kickstart I need to start training specifically for the demands of running 100 miles. Otherwise, I simply go on with finding a balance in my daily life, which in terms of fitness is pretty much whatever I feel I need on that particular day. If you don’t already love to workout every day, or even 5 days per week, you’ll need to make a commitment to develop these habits. Think of how many people you know, or have met, that run 5k’s, 10k’s, ½ marathons, marathons, or any other event that entails registration (buying a ticket J). Now, think of all those people (maybe yourself included) that hire personal trainers, and commit to scheduled weekly workouts. This helps immensely when establishing a bond with fitness and exercise. It works. Understanding the psychology of commitment is key. Once you realize that to commit is to begin, you can then move forward. Looking at my week, during a buildup period to a ultramarathon, you would see running listed 6 of 7 days, consisting of a strong modulation of intensity, duration, and stimulus (hills, track, trails, road). Learning how to modulate exercise is the progression. The body thrives off of specific imposed demands. In a runner, this is essential to being able to deal with the stresses of racing. If I train to my strengths day in and day out I fail to prepare myself for vital elements of the race. I’ve committed, but failed to properly prepare. How does this apply to the person seeking to enhance their image with 1 hour of exercise, 6 days per week? They must prepare. Simple preparation goes a long way. Knowing what you will eat, and when is vital. Setting aside a specific period of time each day to workout is essential. Eating well, and exercising never just happen. It’s a myth. No adult happens upon fitness. If they tell you they did, they are lying. Remember, motivation + positive feedback = continuity. If running 3 miles a day, plus doing 50 pushups and 50 situps elicits the results I desire, I’ll keep it up. Maybe after a month I’ll add another mile every other day and a few extra pushups and situps… this is gradualness. Assessing the feedback my body is giving me from my daily exercise I can then make adjustments based on my desired outcome. Knowing your level of commitment and personal goals with exercise is mandatory. Opinions, distractions, snake oil solutions, and fad programs will constantly ping your daily life. There is absolutely no reason to get on their bandwagon. If you’ve been fit and healthy in the past, why then would you need, depend, or rely on raspberry ketones, green coffee beans, or the new 10-minute workout routine? See the message and use your brain. Plan. Prepare. Prioritize. Balance. Achieve. Discipline removes the element of surprise from the fitness equation. It ensures continuity, applies modulation to your week, and promotes change in the form of gradualness. Success should never be a surprise. One of my female athletes, Kristen, recently completed a half-marathon. Kristen is one tough person. She is eager, enthusiastic, goal-oriented and accountable. Essentially, she’s a dream client. She gives honest, real feedback and asks questions, anything from nutrition, to supplementation, to body rhythms and rest. Kristen has also come a long way. Like many other female clients, Kristen sought order and structure in her health. I find that women operate in extremes a bit more than men, and their bodies often are the representation of that extreme. The spectrum can run from super, rail-thin, nutrient deficient to obese, compulsive, coping behavior. The unifying factor with each of these women, and all the women in between is purpose. My initial job is to help define and represent purpose in relation to fitness training and exercise. If I can relate daily positive behavior and choices, to a goal-success that we’ve established, the “realness” of the association makes the lifestyle easier to accept. Women are fierce in their self-representation. Using their intellect, career, passions, and life-balance to do so. Simply put: women seek to achieve objectives, which makes them such a joy to work with. Getting back to my athlete Kristen, her goal was to establish control and increase her capacity to do. Meaning she wanted to be balanced nutritionally, to have energy to workout after a long day at work, to be able to do pushups and pull-ups, to be able to run 10k’s, half-marathon’s, and race sprint triathlons. Once we made the association (of fitness and life empowerment) the commit to change was solidified. The path to lifestyle change is best represented by the stock market. We want to trend upward, avoiding deep valleys, while investing the time needed to see fruition. When Kristen experienced failure or inadequate results in training she would always ask/wonder “how and why”. It wasn’t “I can’t do those” or “I can’t do that”. How and why are the two questions that continue to keep her on the path of relentless, forward, progress. When Kristen lined up to run that half-marathon she had been living the lifestyle for one full year. The journey had brought her to the race start, not a year older, but a year better, a completely different person now stood waiting anxiously for the starting gun to fire. The race unraveled a lot like any new challenge undertaken. Ability, energy and enthusiasm carried her to the 9-mile mark averaging 7:45/mile, which is a great pace. Then, suddenly things changed. She got sick, and started cramping badly. It got so bad she passed out twice, falling hard onto the pavement and getting scraped up. When she came to, her calves were so tight they had to be massaged at the aid stations. Do you think she quit? No. She was tenacious. The previous year of problem solving and solution seeking had set her up to succeed. Kristen’s mindset was to give her best, always. Making it to the finish line, she was very sore, battered and a bit confused as to what had just happened, but ELATED that she finished! In the days that followed we came to the conclusion that her diet was simply not supplying her with enough fuel for her active lifestyle. Her body also was lacking in minerals and electrolytes, which led to the cramping. These are easy things to fix moving forward. Whether you think you can or can’t, you’re right. Having a “can-do” attitude and spirit is something that you have or you don’t. We must all do our best to cultivate a positive spirit that lives for the experience. It’s never a failure if we refuse to quit! Always remember, you are better than you think you are and you can do more than you think you can. Now go do it! The philosophy of sport is not a subject I have studied; it is a subject I have lived. There is no better arena for evaluating your value system, no better laboratory for investigating motivation – and no better proving ground for demonstrating one’s defects. Sport exposes. Sport teaches. Sport develops. Sport becomes my art, my language, my way of being in this world. Greatness is a lot of small things done well, day after day workout after workout. Competition is the summation of this process. A race can be your life focus for anywhere from a single week to a whole year. For most of us, we prepare with a magnified focus for 12-weeks. This is a tangible time period, but not overwhelming. Enough time to allow you to develop some specific fitness, and then sharpen that fitness for your competition. Wearing many hats, it’s important for you to not let this competition overwhelm the other areas of your life. It’s important to keep perspective, and let the event become your performance. Sport brings the work you’ve done on your fitness and health into an arena where you are allowed and encouraged to lay everything on line. In these moments of sport what manifests is your personal best. Sport directs my fitness. I do not need a gym to facilitate my exercise and physicality. My event is running, and my distance is the ultramarathon. In the winter of 2011 I felt a strong urge to move my training outside of the gym, into a competitive arena. Running long distances appealed to me, not only as a mental or motivational challenge, also as a competitive, athletic endeavor. I had trained and built a physique, but what was it capable of in a natural environment where success is not measure in reps, sets, and weights? As the Sheehan quote above states, sport exposes, teaches, and develops. Running and racing made this apparent to me. It felt true to my core. What developed was a new person. The mirrors of the gym no longer sufficed in distinguishing my level of fitness. As a runner, you feel best when moving at a steady state. Rhythmic motion, monitored effort, fatigue, hunger, thirst, patience, ability, these are what now occupied my training. Racing, and it’s demanded effort, placed me at times uncomfortably out of my element of complacency. What I avoided in my training was exposed in my racing. I learned what I was made of. Strength training, my prior passion, morphed into a supplemental activity. It remained essential, though in a functional capacity, providing balance and symmetry in relation to myself as athlete, not exerciser. A few years later and I am still a runner. Race day is my performance. My calendar year is littered with events to test my mental fortitude, as well as progress in my field of training. Working with my fitness-coaching clients (current and potential), I let this passion bleed into my sessions with them. Individuality and freedom of spirit are essential in personal pursuits that truly last. It is my hope that those individuals are lucky enough to experience true passion, as well as health and vitality, through motion and movement. Be patient in your progress, yet persistent in your effort. Finding sport is a process of trial and error, but never stop trying, for when it sticks you will be forever changed, and impassioned to lead a life that you may have only dreamed possible.